Gather all the ingredients for the cookie part of the dessert. Preheat your oven to 350 degrees Fahrenheit. 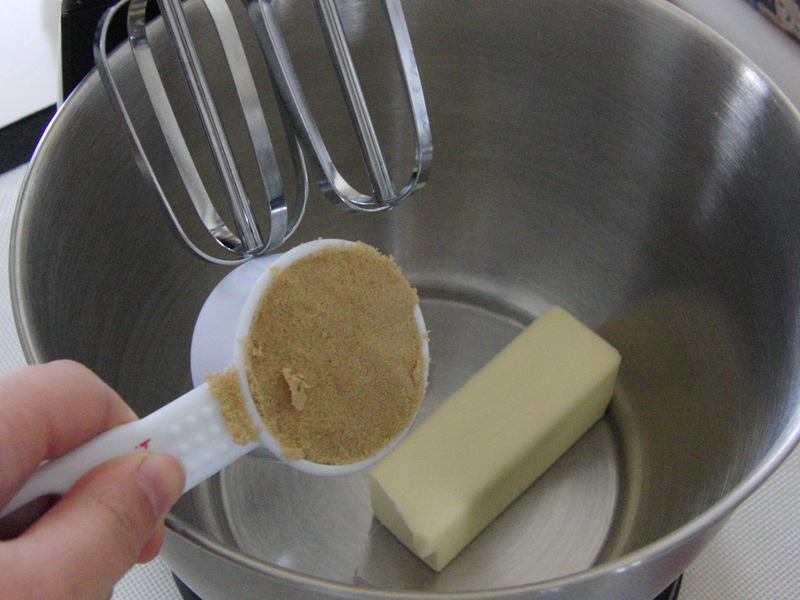 In a large mixing bowl, add the 1/2 cup of butter (or 1 stick) with the brown sugar. Make sure the butter is softened a bit. You can leave it out at room temperature for about 10 minutes or heat it up for 20 seconds in the microwave. 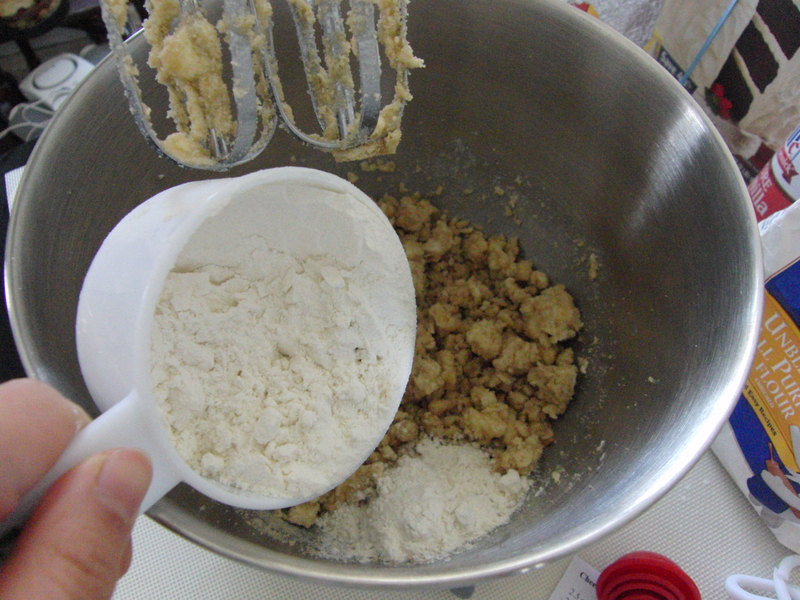 After the mixture looks like a crumble, add the 2 cups of all-purpose flour, along with the salt and baking powder. Beat on medium speed for about 2 minutes pr just until the mixture starts clumping up a bit. 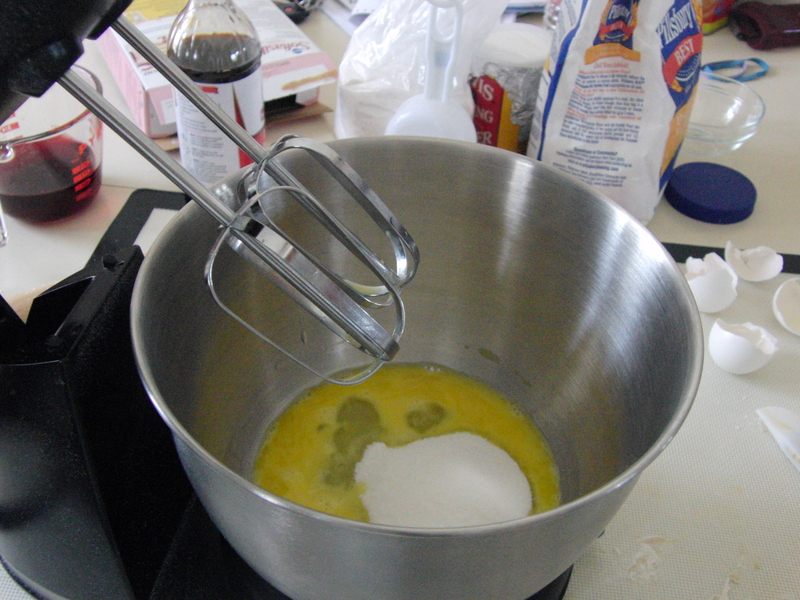 Add the egg and vanilla to the mixture as well. Roll out the dough on a floured surface and make sure your rolling pin is floured as well. The dough shouldn’t be too thick (just thick enough to prevent ripping). 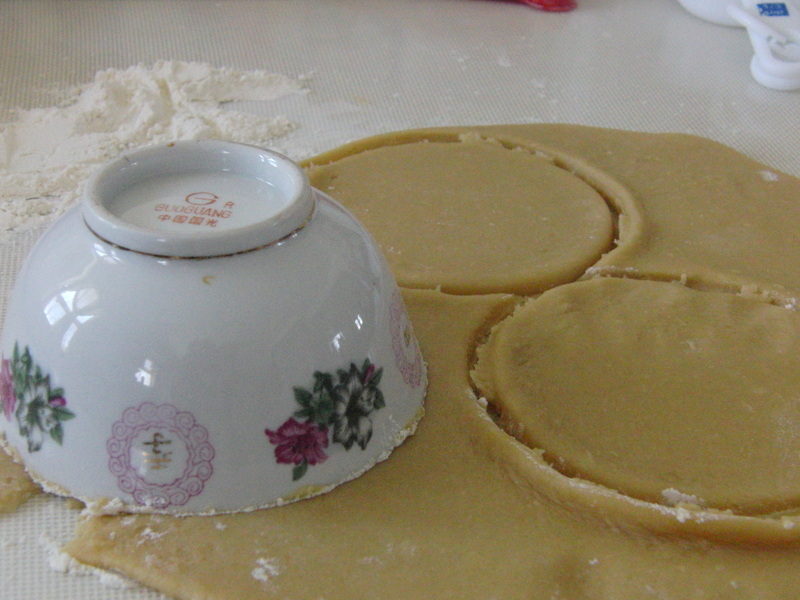 Use a bowl that has around a 4 inch diameter to cut circles in the dough. Grease a cupcake tin with melted butter. 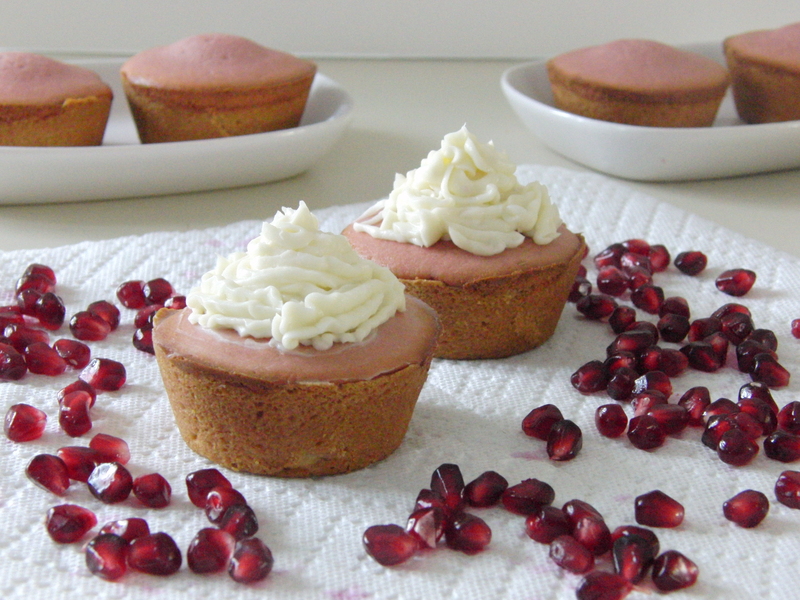 This step is very important; you don’t want those gorgeous cake tarts to stick to the pan! Put each of the circles in its own cupcake spot and even out the sides (like you would do when making mini pies or tarts). Make sure the cookie goes all the way up the sides. Place the cookies in the oven for 10 minutes. Don’t w0rry if they’re not done because they are going in the oven again after adding the cake mixture. Now for the cake part. 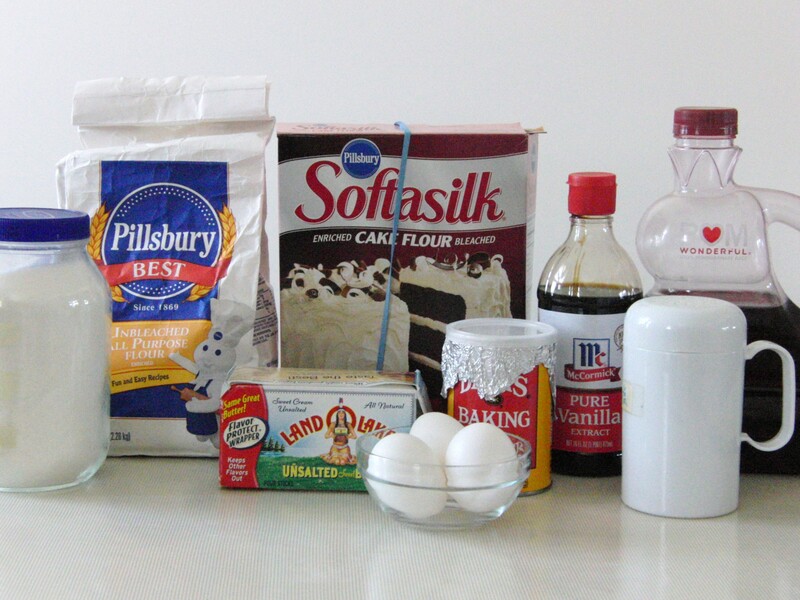 Gather all the ingredients for the cake (use the measurements for the cake part ). Add all three eggs and the cup of sugar and blend until creamy. Sift your flour and add it to the mixture. Add the vanilla too. Beat until well combined. 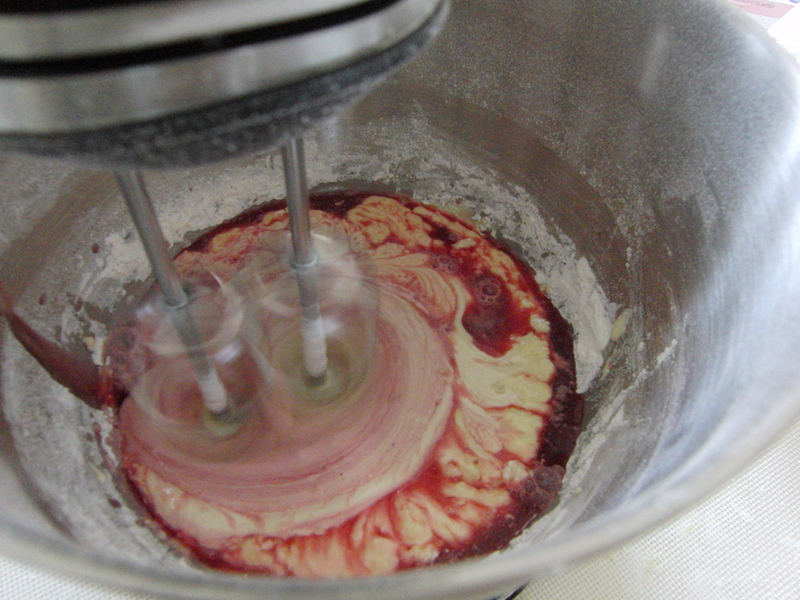 Add the cup of pomegranate juice to the mixture and beat on high for 30 more seconds. Add the baking powder and the melted butter and mix until well combined. Take the cookies out of the oven after the 1o minutes. If they have risen up use a fork to flatten them out a bit. 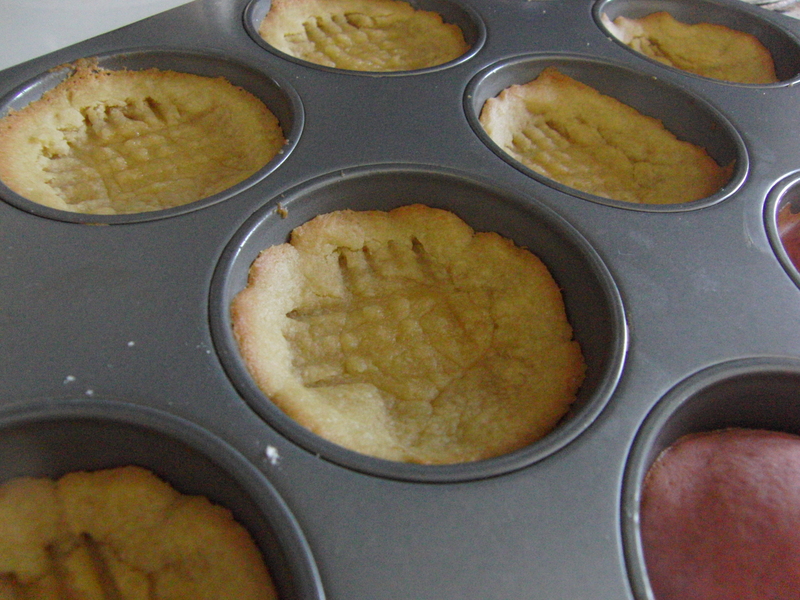 Pour the cake batter into each of the cookie crusts. It’s okay to overfill the crust a little (as long as you greased the pan well). 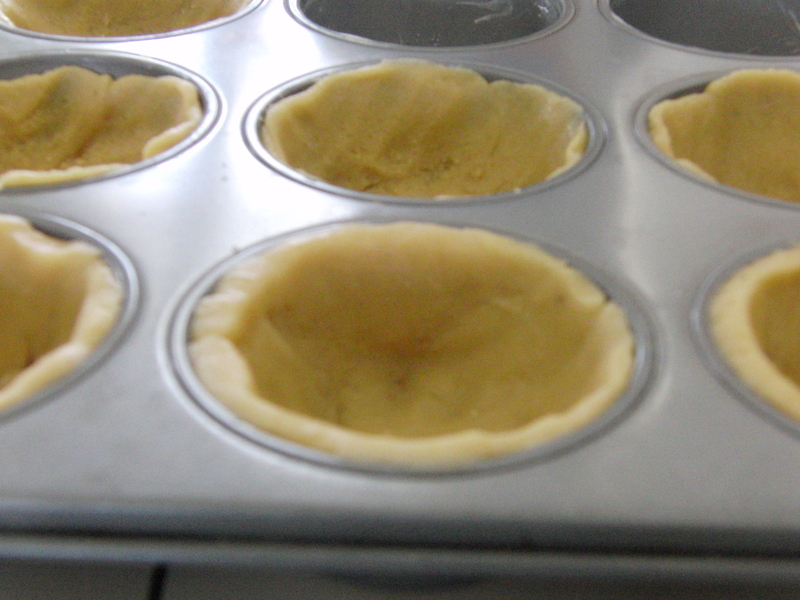 Put the tarts into the oven for about 5 minutes or just until a toothpick comes out clean when inserted into the cake. Let cool. 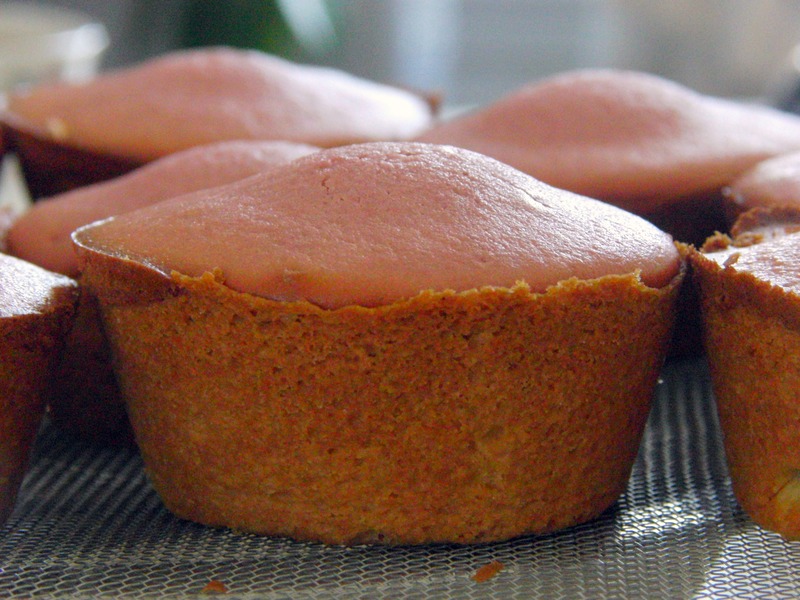 Gather the ingredients for the frosting while waiting for the tarts to cool. 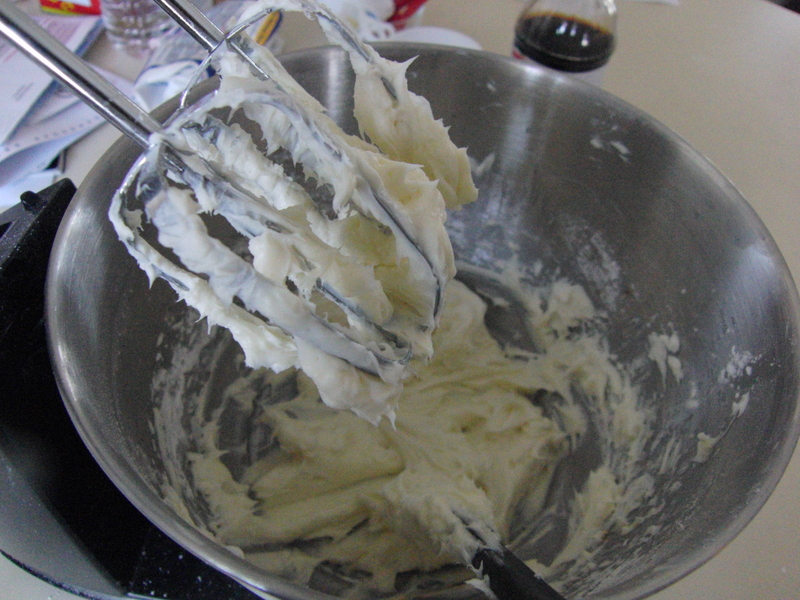 Cream the cream cheese, sugar, and vanilla in a mixer until smooth and insert into a plastic bag or piping bag. You’re done! Whew what a journey. 🙂 I had so much fun coming up with this recipe and in the end it paid off! 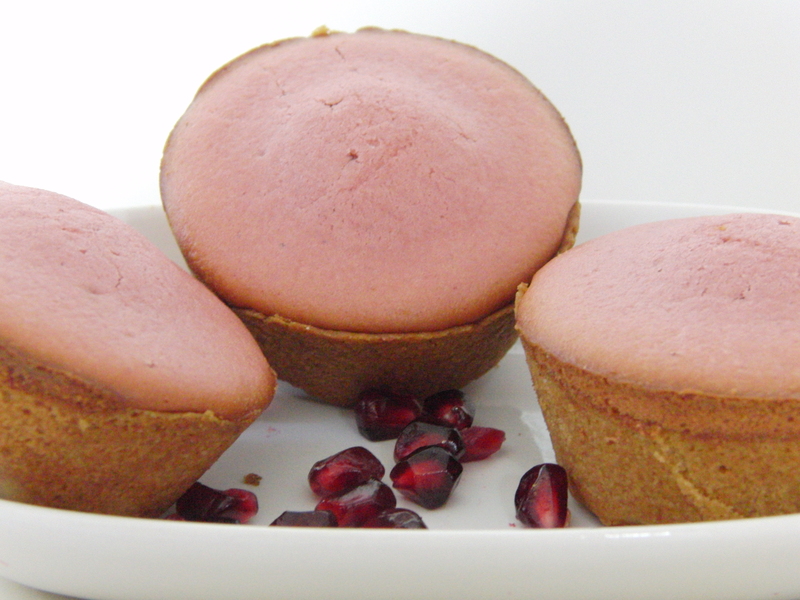 You should have seen my beaming face when I took these cake tarts out of the oven. They are so cute and when you bite into them its a mixture of crunchiness and moistness. I love the contrast of it and the two layers are appealing visibly too! 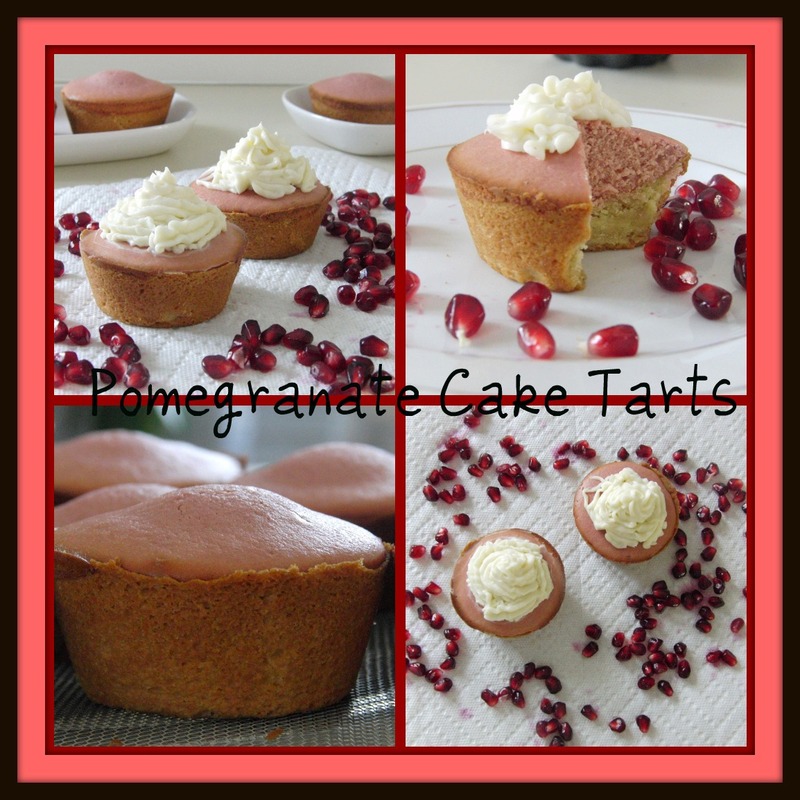 Pomegranate Cake Tarts are the epitome of desserts: A combination of the best desserts that everyone loves definitely did not disappoint. Try making these sometime and with that cream cheese frosting, these are sure to please anyone who has any inkling of a sweet tooth. What an original idea! 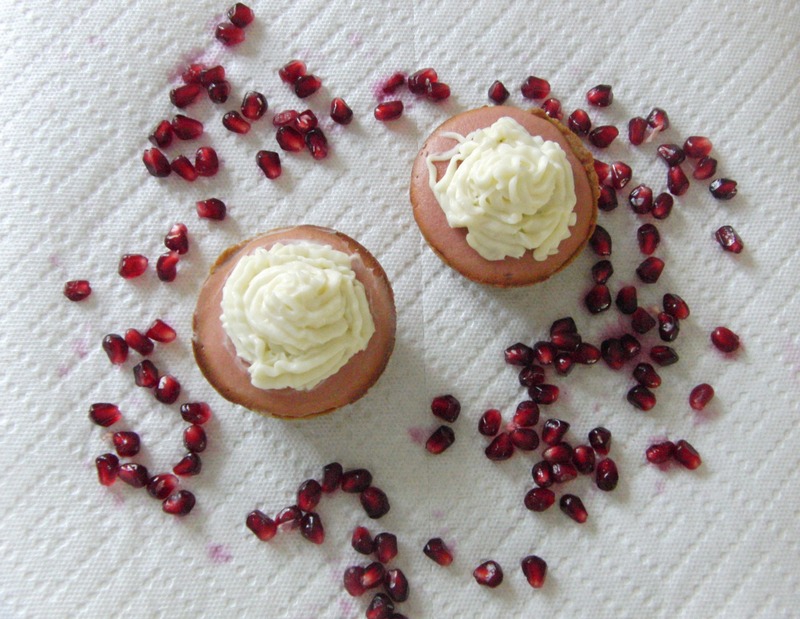 Now, I know you used pomegranate juice in the recipe, but I was wondering if you have any special method for getting the seeds out of a pomegranate? I always seem to make a big mess. Thanks! And great question 🙂 There are a lot of secret tips and tricks out there but I use one of two ways. 1. Score the pomegranate into 6 sections. 2. Hold the fruit underwater in a bowl and open it up on the score lines. 3. Pull the seeds out gently and the mess stays contained in the water! 1. 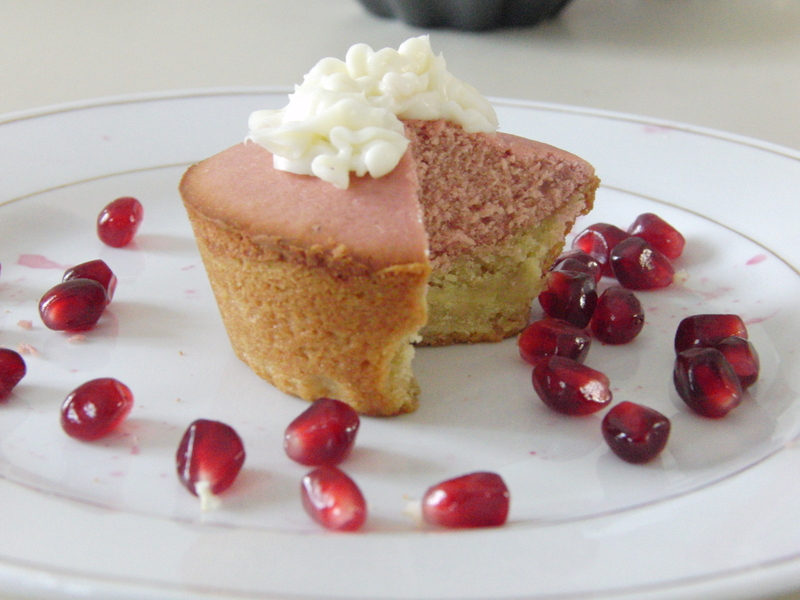 For this method, I cut the pomegranate in half and open it up. 2. Pull the seeds out and work your way through the entire fruit. There actually also seems to be a new kitchen tool just for getting the seeds out of a pomegranate. 🙂 Hope this helps! Genius! Click. Add to favourites. This is a superb dessert that hits all the right flavours and textures. Great presentation and the photo’s look divine, all of them!